Memories of those good old days when summer was hot and wild always bring to mind long stretches of beach shore, tan lines, and a variety of floats and pool toys. This was the original vision when The Wet Set Company was founded way back in January 1966. Their first inflatable product was the beach ball. Although beach fun gear was clearly their focus back then, they have since ventured into other developments which prompted them to rebrand into Intex Recreation Corp. Forty years later, the Intex Corp. is now part of a worldwide family of companies that distribute airbeds, above the ground pools, and portable spas. Intex is a manufacturer of the famous Intex Hot Tub. 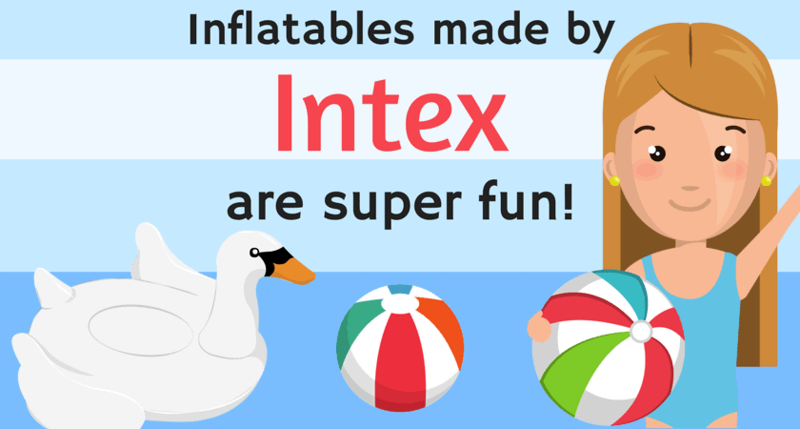 Based in Long Beach, California, Intex Recreation Corp is now one of the more widely known go-to brands for pool and spa accessories, sporting goods such as lounges and islands, boats and other inflatable toys. Customers who have left great reviews about the company like the fact that they are basically a one-stop-shop for these inflatables and accessories. Common feedback includes the ease of buying related parts and accessories as they also distribute replacement parts. Their current vision matches the fast-paced lifestyle of families today. They are one of the most recognizable, trusted, and innovative brands in their industry. This innovation is best seen in one of their newest core products – the PureSpa Inflatable Bubble Massage. When it comes to this inflatable hot tub price, it is extremely competitive in the market. It is portable, which makes relaxation achievable with only a click of a button. While surely it isn’t the first company to roll out portable inflatable spas, it stands out from the leading competitors with its unique water filtration system that flushes out only soft water, leaving calcium and other hard minerals inside the filter. The result is having soft water that is gentler on the skin and on swimwear. Customers feel more relaxed using this inflatable pool as opposed to traditional hot tubs. It only takes a simple maintenance procedure to take care of the residue build-up in the filter systems. Intex Corp ensures that customers will have to replace only their filter cartridges. This is unlike traditional filters that require a new replacement. You pay less and save more with the cartridges for this inflatable pool. In 1997, Intex Corp. made the plunge with their first above the ground swimming pool. It was a massive success, as families could then basically take a vacation in their own backyard. They made set-up a breeze that it only took a few minutes for the ultimate water fun to begin. Since then, they have remained on top of every customer’s choice for inflatable pools. With its wealth of accessories and features, Intex Corp. also provides an innovative sleeping experience with their airbeds. And in order to provide the ultimate rest, Intex has long since engineered tests that combine features like interconnected pocket systems, lavish foam, pillow rests, and plush flocking. Their use of FiberTech technology also guarantees structural stability and support, whether one is purchasing a camping airbed for the outdoors, or for a luxurious indoor sleeping experience. Intex Recreation Corp. also distributes all kinds of play centers – from bouncers and playhouses, and even air furniture which includes chairs, sofas, tables, kids beds and pillows, air pumps and manual and electric pumps as well. All of their products make use of lightweight but durable fibers that are puncture resistant and stable. The company, through its partnership with retail stores and online platforms such as Amazon, are able to place their foot on the market and sell their products. Since making a very big splash with their pool products back in the day, Intex Corp. now distributes to over 100 countries worldwide. Corporate social responsibility for Intex Corp. comes in the form of reducing their carbon footprint. For over 10 years, they have partnered with their trusted suppliers in doing so. They help set these standards along with their partners from the American Red Cross, the World Waterpark Association, and the US Consumer Product Safety Commission among others. In an effort to think green, Intex Corp.’s supplier has received an award for their PVC recycling program this past year, marking their serious commitment to their cause. From a single beach ball, ground swimming pools, to inflatable beds and portable spas, Intex Recreation Corp. remains at the top of its game in their industry. They continue to provide outstanding merchandise and impeccable customer service. Summer not only brings to mind the beach but the whole experience as well. Intex Corp. has consistently made sure that families all over the world have fun during their vacations. Their biggest rival when it comes to hot tubs and inflatable products is the Coleman company.